Now, I am by far the oracle when it comes to pregnancy advice, but – as i’m nearing the end of my pregnancy journey – I thought I would write down some tips that i’ve picked up along the way. It was only when I was chatting to a friend of mine about bra sizes that I found out that your rib cage actually expands when you’re pregnant, so even if you think that you haven’t put any weight on around the back, you probably have. It’s definitely worth buying some bra extenders. They’re really cheap. If you’ve read my previous post about the NCT class that me and Mr B took, you’ll know already that i’m a big fan. It doesn’t cost as much as you might think, and it’s certainly not as cliquey (or as pushy re: breastfeeding) as you might have heard. I’ve made some lovely friends, and certainly learnt a lot. The course was thorough, informative and fun. I didn’t do any NHS antenatal classes, so can’t vouch for them, but in my experience, I would definitely recommend the NCT. 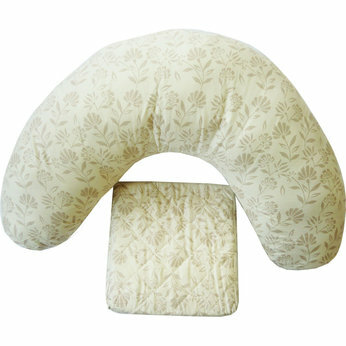 Especially in the later stages of pregnancy, I found this a godsend! I ordered this one from Babies R Us, but it looks like they don’t do this set any more – they have other options here. The wedge came in real handy as I got bigger and it supported by bump. Also, i’ve slept with a small cushion inbetween my knees practically since I found out I was pregnant, and I’ve found that it’s helped me to sleep. More tips to follow as and when I remember them (with my baby brain!). Feel free to comment on this post and add your own tips!